Although at first it was a secular piece of clothing, it became a sacred wear in the IVth century. 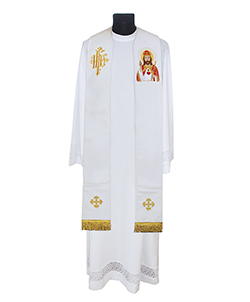 Today, both deacons and bishops wear them during the celebration of Mass. 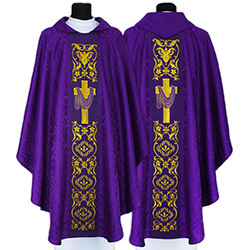 You can see and choose from a huge collection of absolutely unique clergy clothes. 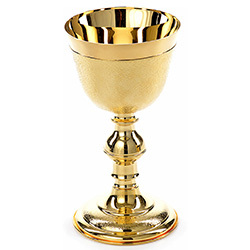 There are also some special variations of bishop and deacon dalmatics, for example Marian Gothic, Gothic “The Lamb”, Gothic “Advent”, Gothic “Christmas” and Gothic “Holy Spirit”. All these garments have beautiful design and are of superb quality. 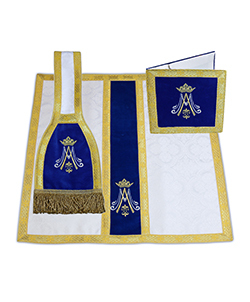 The majority of our vestments can be purchased in different colours. You can choose from white, red, purple, rose, green, black, cream and many others. 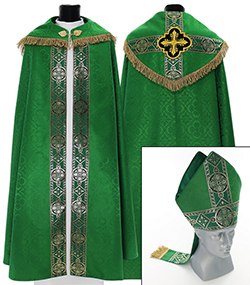 You can even select the colour of the embroidery for the particular models. No matter which model you choose, you will certainly be satisfied with the quality of our products. We use only the finest materials for each attire. Thus, you can purchase excellent garments made of plain fabric, damask and other materials. 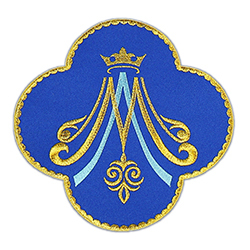 We use velvet fabric and golden threads for the embroidery. 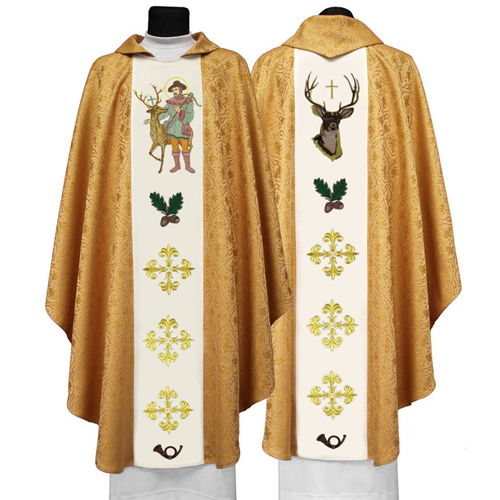 Check our offer of beautiful bishop and deacon dalmatics and you will certainly find the best one for yourself!